What if Your Printing Substrates Could Help Your Business Grow? custom coatings, precision converting, and specialty printing substrates. “Looking for reasonably priced synthetics that perform well on our press, we gave Masterpiece Graphix a try. 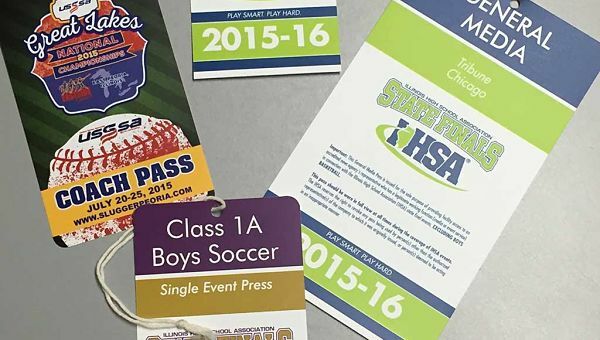 Not only did we discover a new material source, the variety of substrates they offer has opened up new opportunities for us to create unique and stand-out applications—like door hangers with spinning wheels. And instead of laminating, we save the labor and cost by printing on PVC. With PVC, our customers get better durability and a cleaner look." "Even if I am looking for a material that they do not currently offer, Masterpiece Graphix will do the research and find the right material for my application. The ability to order any type of material coated and ready to print, with fast and professional service, is a real advantage for our business. I absolutely recommend Masterpiece Graphix." "It is a pleasure to do business with people who are committed to their trade and demonstrate the level of customer service that you find at MGX. They consistently develop new materials and digital coatings, and back up their products with superior technical support and a ‘can do’ attitude. MGX is always willing to provide stocking and inventory management options that help us stay ahead of the game." "As Masterpiece Graphix’s distributor in Canada, we have helped our customers fully leverage their investments in digital printing equipment using MGX’s cutting-edge digital coating technology and revolutionary substrates for over three years. The R&D, service and technical support are second to none and together Ariva and MGX make a great team. We wouldn’t hesitate to recommend MGX products to any of our customers." Ready for solutions to your substrate, coating, or converting needs? Sign up to receive our monthly enews with print sales tips and product insight!